I read an article this week about video games designed to treat ADHD. The concept sounds appealing: use some time already spent on recreational video games to instead play therapeutic video games, and make ADHD treatment enjoyable enough that kids will stick with it. Another plus that developers point out is that treatment provided via games would not cause the side effects of ADHD medications. Games designed to improve some aspect of physical or mental health or performance are a fast-growing growing sector, and there’s even a scholarly research journal that launched this year, Games for Health Journal. Video games are not without side effects, though, including seizures. ADHD, video games, and seizure vulnerability haven’t been studied together, but by piecing together some studies dealing with two of the three factors, the interconnectedness between them can be considered. So here is some information on ADHD and video games, and separately, information on ADHD and seizures. Put them together and think about about video games and ADHD being a risk factor for game-induced seizures. Developers of games to treat ADHD need to be conscious that the same neurological abnormalities that cause attention problems may also make people with ADHD more vulnerable to seizures from a video game. Evidence is accumulating that exposure to typical (non-educational, non-therapeutic) video games is associated with later attention problems. It’s a highly charged subject, because scientists can never account for all possibilities and variables in a single study, and people tend to feel very strongly one way or the other about video games. A lot more study is needed because so little has been done that follows the same children over time. Based on findings including the following, the American Academy of Pediatrics issued cautions parents about video game use. “…[A]mount of time spent playing video games is associated with greater attention problems…[B]oth television viewing and video game playing were uniquely associated with attention problems…[T]he total time spent with screen media (both television and video games) was positively related to attention problems. …Exposure to screen media was associated with later attention problems even when earlier attention problems and gender were statistically controlled. 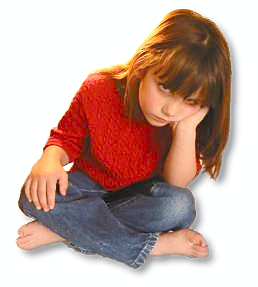 This provides stronger evidence…that screen media may influence attention problems; controlling for earlier attention problems…rules out the possibility that the association between screen media use and attention problems is merely the result of children with attention problems being especially attracted to screen media. While findings from one study were announced regarding the high rate of photosensitive epilepsy in autism, no studies have been published on photosensitive epilepsy in people with ADHD. What studies do show, however, is that in people with ADHD seizures of all types occur at a much higher rate than in the general population. The findings suggest that environmental influences, including video games, could place people with ADHD at higher risk for photosensitive seizures. There is increasing evidence and acceptance of some underlying brain dysfunction shared by epilepsy and ADHD, and people with one disorder have more than the usual risk of having the other condition as well. Another study found that children with the predominantly inattentive type of ADHD have a risk of developing seizures that’s 3.7 times the normal odds. The odds for children with the combined type of ADHD, which includes inattention and hyperactivity, are 3.3 times the normal rate. This was specific to the inattentive type of ADHD, which is presumably the intended market for video games for helping with focus, memory, screening out distractions, etc. 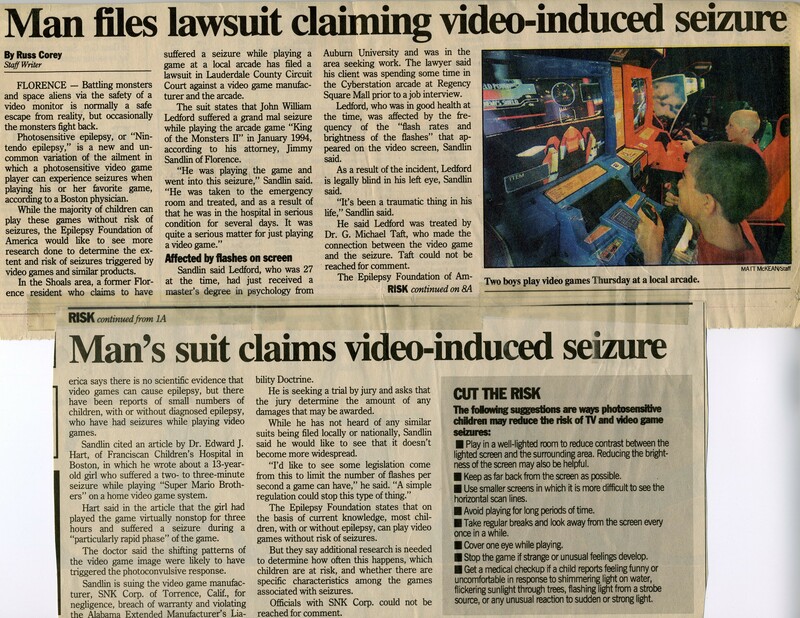 I don’t know if games-for-health developers, particularly people working on ADHD treatment games, are more concerned about the seizure hazard than developers of games for pure entertainment. Presumably a therapeutic application’s on-screen action would not be full of strobe effects. Without seeing the games, though, it’s hard to know for sure about the kinds of screens and effects that are used to congratulate users on their score, signal the end of the game, etc. Let’s hope these games don’t do harm in their efforts to do good. ***Note that “incident unprovoked” in the study title refers to means a seizure that is not provoked by a medical situation unrelated to epilepsy: a head injury, fever, intoxication, and so on. A photosensitive seizure triggered by flash is not considered provoked, because that is the nature of reflex epilepsies, that they are triggered by a sensory experience. The terminology is more than just confusing. Because the words trigger and provoke are close to synonymous, the use of “unprovoked” in defining seizures typical of epilepsy seems to to exclude reflex seizures. The terminology both reflects and contributes to the relegation of reflex seizures to the sidelines of clinical training and research funding and and perpetuates the perception that they are rare.